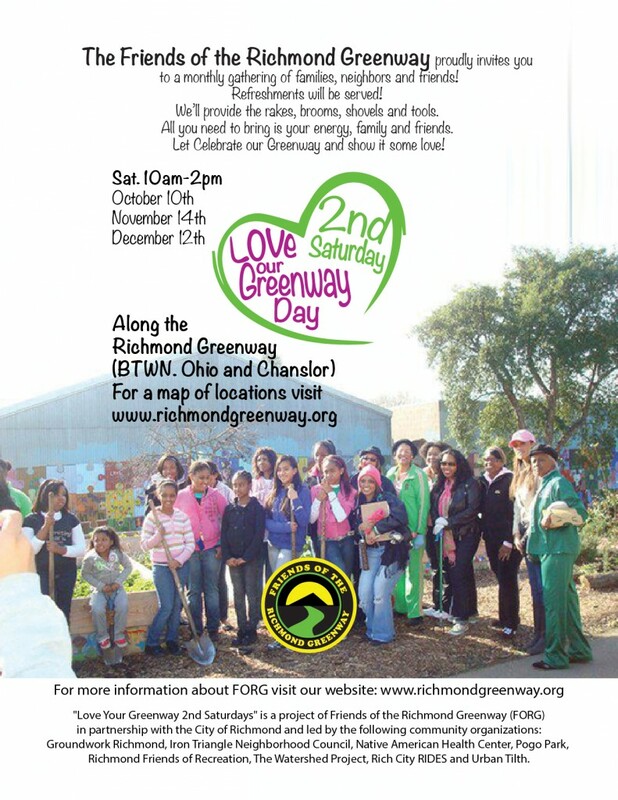 The Friends of the Richmond Greenway proudly invites you to a monthly gathering of families, neighbors and friends! We will provide the rakes, brooms, shovels and tools. All you need to bring is your energy, family and friends.Refreshments will be served. Let’s CELEBRATE our Greenway and show it some love!